Only three questions out of 10 actually about the road! 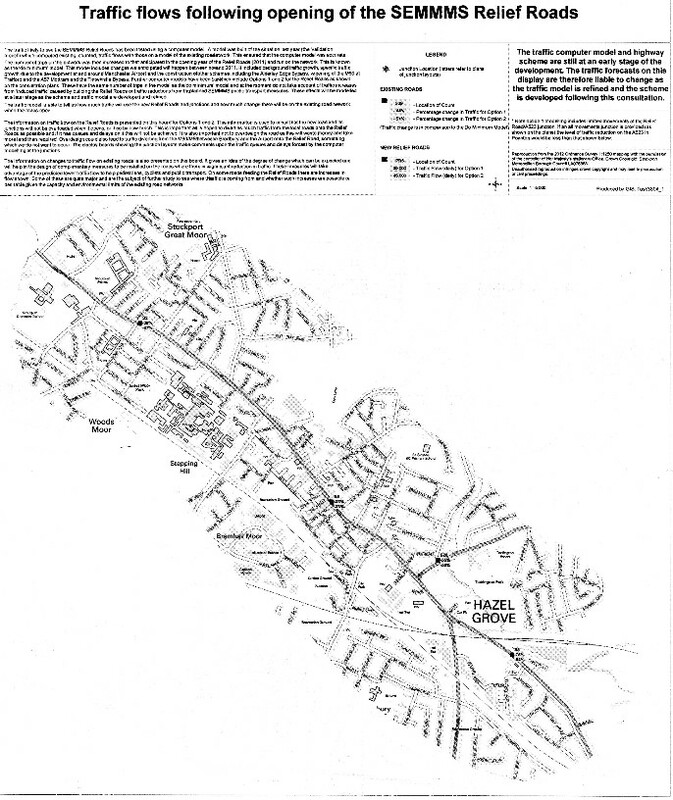 Click the link opposite to read the Business Case for this proposed road. "I was absolutely staggered by the lack of knowledge from the representatives – of the 5 present, 3 were there to make up the numbers and two of these admitted they had been sent there to support. 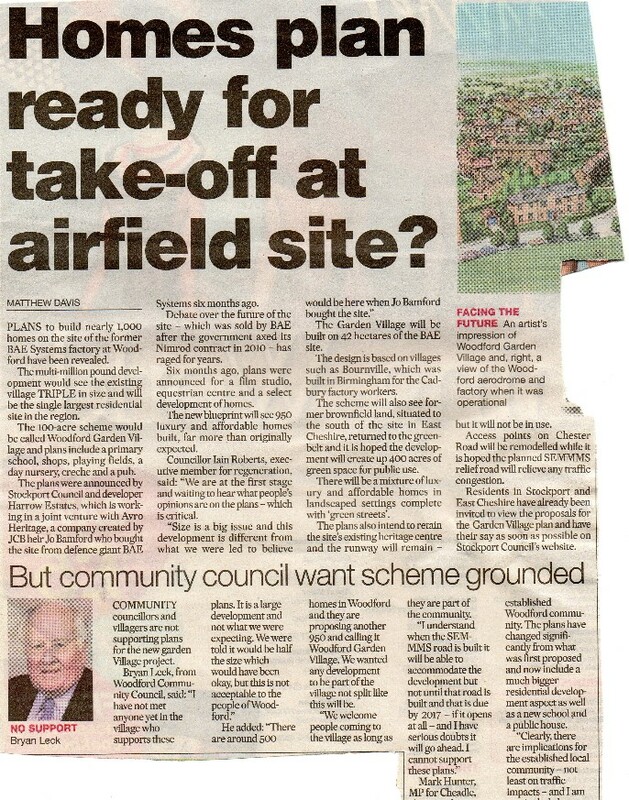 It is an insult to the community to send representatives who are so badly prepared, have no knowledge of the scheme and can merely point to the display boards and utter glumly that they cannot answer relevant questions. This is a £290 million scheme effecting thousands of lives, and at that cost, I would expect a thoroughly professional presentation." Click opposite to view the original SEMMMS report. Many decades ago it was decided to build the A6 bypass. The LibDems who rule(d) Stockport wanted it because they thought it would win them votes. 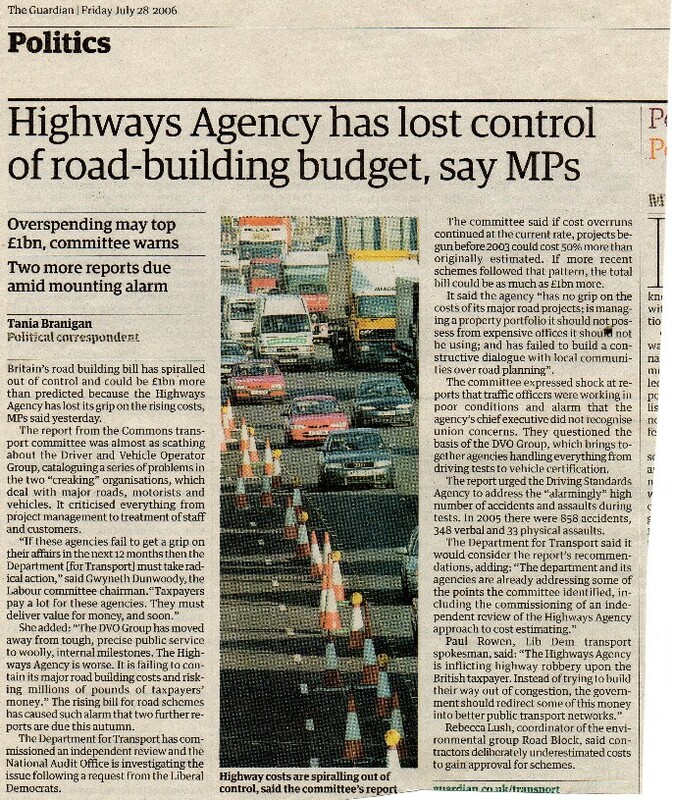 LibDem official policy is to be against all roadbuilding except where it wins them votes. LibDems selling out their principles for power - who'd have thought it! The cost of the bypass rose from £170 million to £1 billion and was to be paid under the now discredited private finance initiative, which would have bankrupted the town's children and grandchildren attempting to pay it back. The scheme was scrapped as too expensive, but the LibDems, desperate for votes, have resurrected it. They said the Chinese were paying for it, but any such contact would be subject to currency fluctuations. That was quietly dropped. The were going to pay for it from the Greater Manchester Pension Fund. That seems to have been dropped too. The LibDems, supposedly in favour of open and honest government and allowing us to look under the bonnet of local councils, are keeping many of the details of this unnecessary road secret. 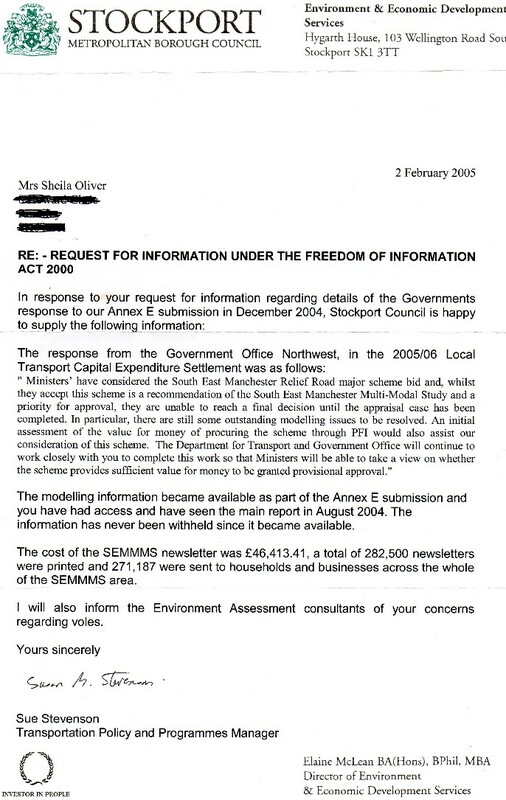 There was a secret meeting between LibDem Treasury Minister Danny Alexander, Mark Hunter LibDem MP and Eamonn Boylan, highly paid Chief Executive of Stockport Council in which the approval for this roadscheme was given. There was no business case produced, no details of the funding, no up to date traffic modelling, yet the LibDems pushed this through in what I believe to be a vain attempt for them to hold on to power. So much for their environmental credentials - all their priniciples out of the window when it comes to clinging on to power by their metaphorically grubby and broken fingernails! This particular scheme was not included in the 2010 reviews by the Chancellor. 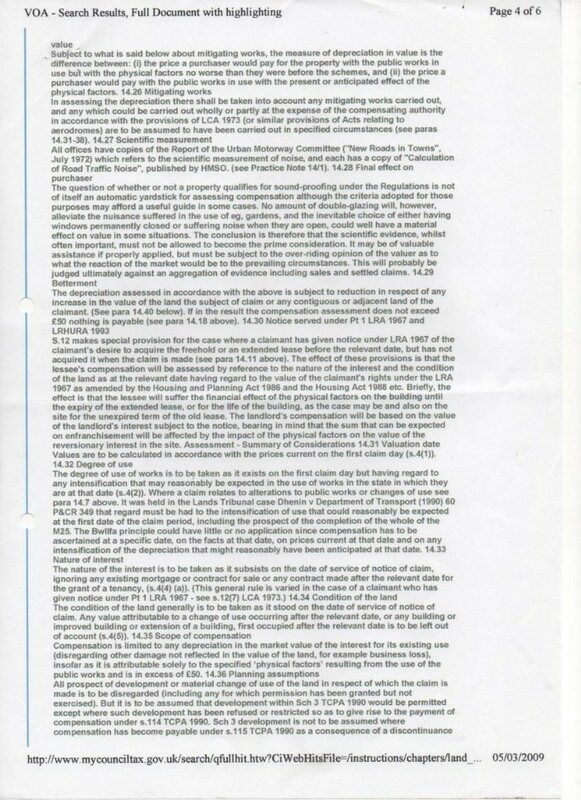 However in the 2011 Statement part of the funding (£165m) earmarked originally would now be made available. A further £290m (the balance) would be required to get the job done; but funding would need to be found. Westminster and Manchester have agreed in principle to discussing a formula which would enable Manchester to "earn back" related contributions made to the GMT Fund. Early formulae are intended to promote financing of infrastructure spending by the use of revenue based on changes in property rateable values over 30 years. This would be expected to encourage growth. "Indications" are that (with a 2015 base) up to £500 million would be available by 2020 with another £700 million after that. The "buts" include the limit to borrowing which could be secured and, therefore, the "certainty" of the revenues. Schemes of this kind were promoted by several American states but reportedly discredited - probably due to the Ifs and Buts set out above. As indicated security would be needed to satisfy the lenders but be sure that in the long run the interests of taxpayers (local and/or central) would come a very poor second. The only sane comment to make about this scheme - DO NOT TOUCH! 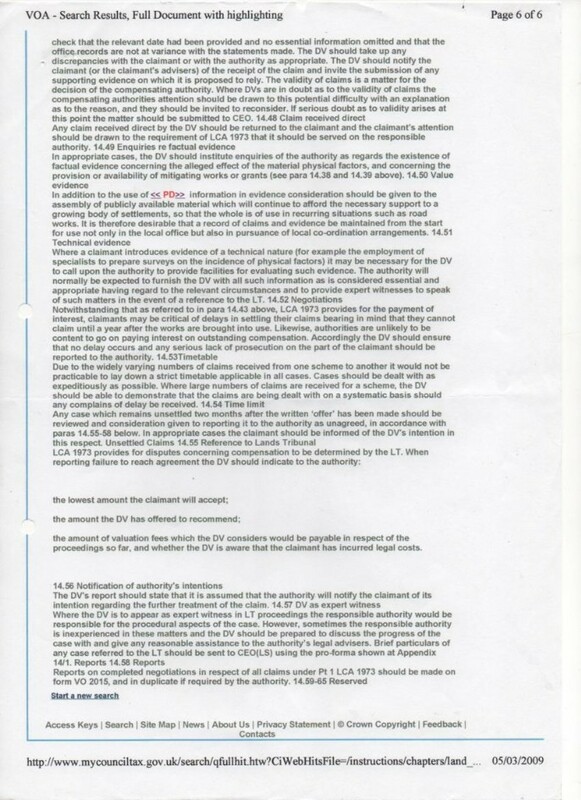 Page 14 latest info on Earnback, costs and timing. Click opposite to see the latest explanation of where the money will be coming from. Given the worrying link opposite, why are these councillors and MPs even considering building new roads instead of investing in sustainable transport? The details below may be a decade out date. The increase in fuel costs, the recession, the increase in people using trains - all ignored in the rush to waste half a billion pounds of your hard-earned money. Shops on roads which are bypassed lose trade, as the BBC news story opposite indicates. What consideration has been given to the loss of passing trade for shops on the A6? 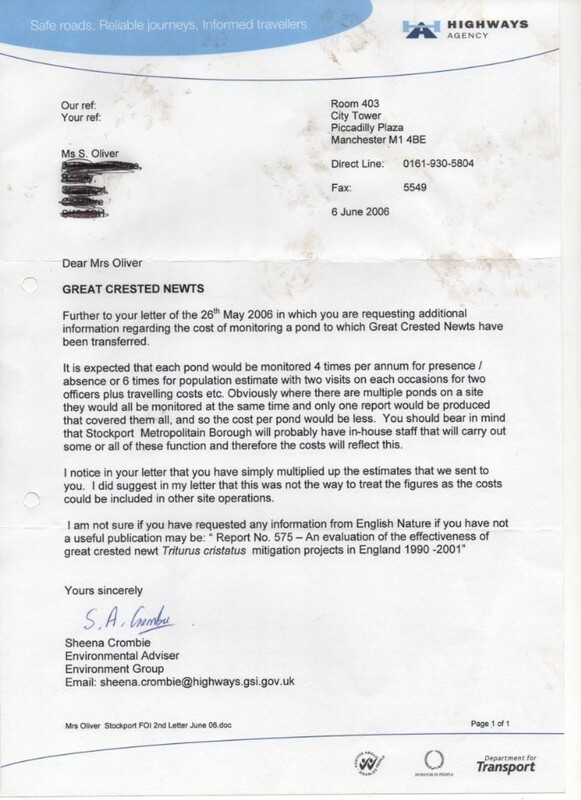 "The Government’s National Infrastructure Plan 2011 includes the M56/A6 Link Road as a funding priority but there is no detailed information available on funding arrangements and any potential conflicts of interest will be dealt with if and when they arise." No business case yet, yet Danny Alexander has already given the go ahead in a secret meeting with LibDem MP about a road which will bring in LibDem votes! 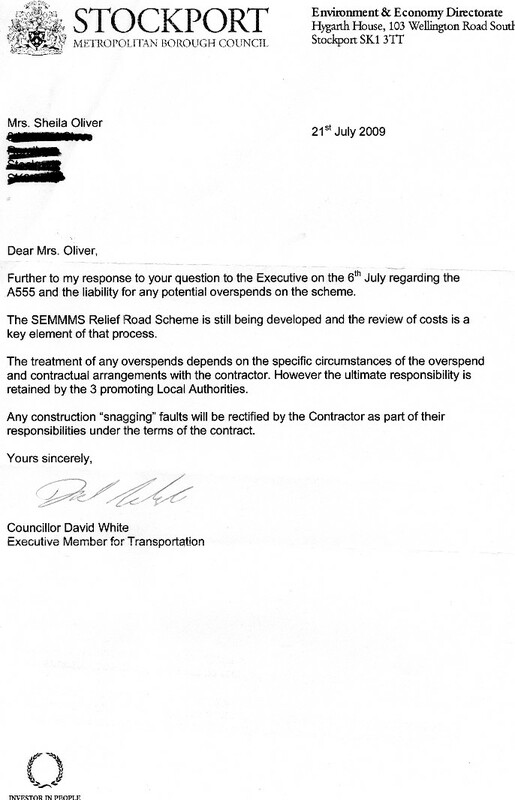 "The Government included the SEMMMS A6 to Manchester Airport Relief Road as a scheme within the National Infrastructure Plan November 2011 and thereport refers to this; the details of the scheme still need approval via a business case to the Department for Transport and statutory powers including planning permission." £1.1 million of council taxpayers’ money spent in two years to push a road which nobody has a clue how it will be paid for and there is no business case for, (but will win LibDems votes) in a town with no public toilets, fewer lollipop ladies or flowers in the flower beds and when transport for disabled children is being cut! "The £0.992m is a Council non-cash limit budget which is used to cover the development costs associated with the SEMMMS project which are not covered by funding from the Greater Manchester Transport Fund. 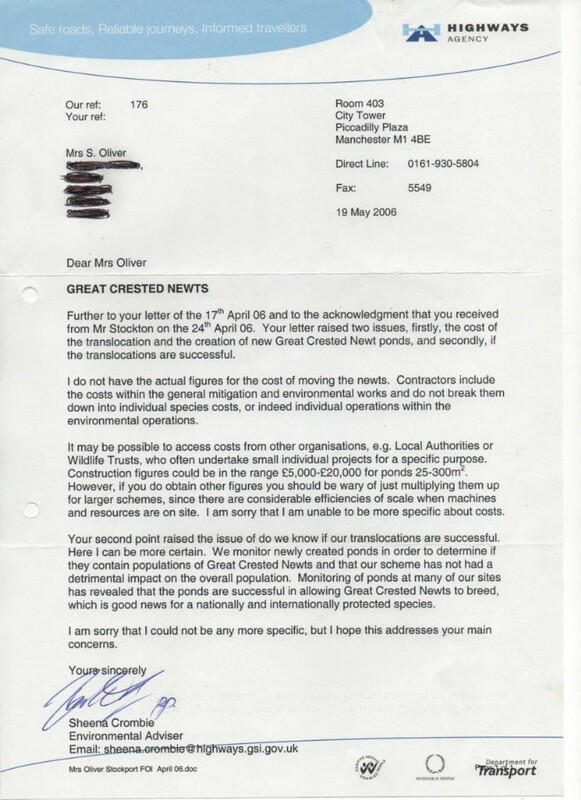 This funding is not required during 2011/12 and it has been transferred to the earmarked reserve." of the business case will be published at that time." Why are they wasting millions in development costs of a scheme which they have no idea the cost of, whether it is economically viable or whether it is even needed? 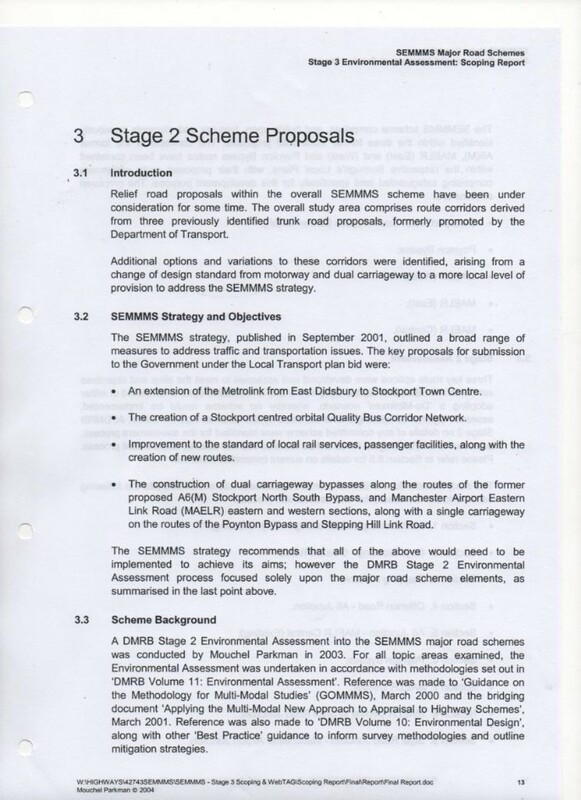 They mention the A6102 in their documents - which is in Sheffield!!!! This error has been pointed out to them, but it still remains in documents. Why are we paying a fortune to consultants who don't even know which road they are supposed to be working on? 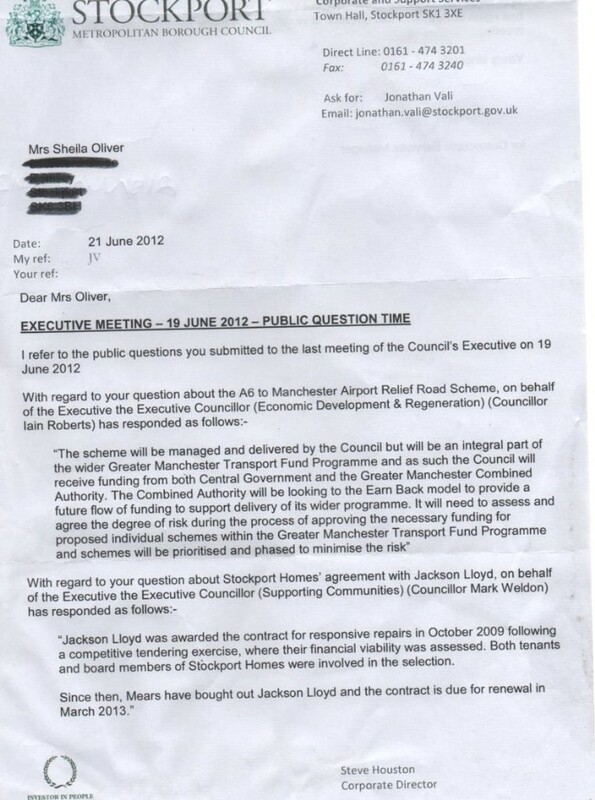 "You requested documentary evidence of the predictions Councillor Goddard was quoted as making in recent interview to the Stockport Express . It is assumed you are requesting information that the Council holds on the impact on traffic in Hazel Grove of the SEMMMS scheme and the number of jobs that would be supported by the building of the scheme. We understand that Councillor Goddard was referring to information he had previously received as part of the previous consultation. We attach a detail from the traffic data displayed as part of that Consultation on the SEMMMS Relief Road which related to predicted traffic impact in Hazel Grove. You also requested information held by the Council with regard to the number of additional jobs predicted to be supported by the scheme by 2030. 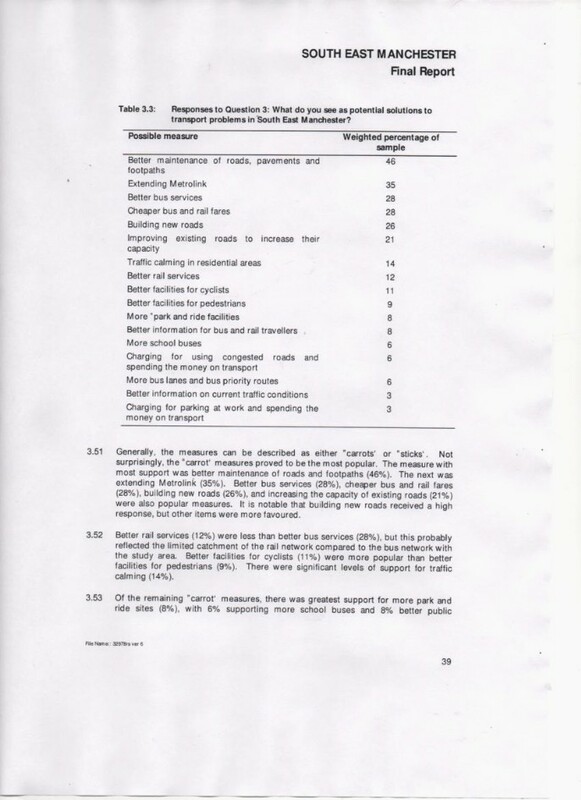 This information taken from a briefing document which I enclose. 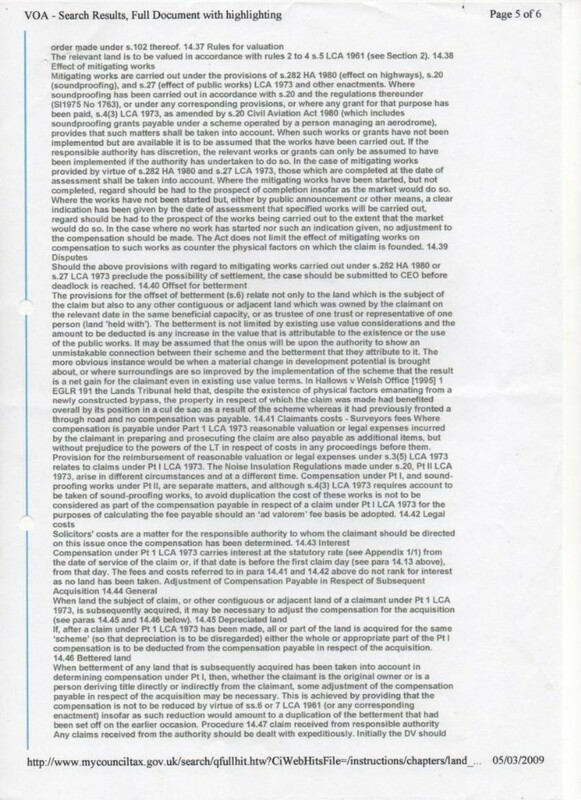 The detailed report from which this figure was obtained was prepared by a specialist consultant and is based on an appraisal of the potential of individual existing and future employment sites this information not be released as it is exempt from disclosure as it is contained in a document that is considered commercially sensitive by the report writer because of the detailed commercial appraisal; therefore the information is exempt under section 43(2) Freedom Of Information Act2000 (FOIA). 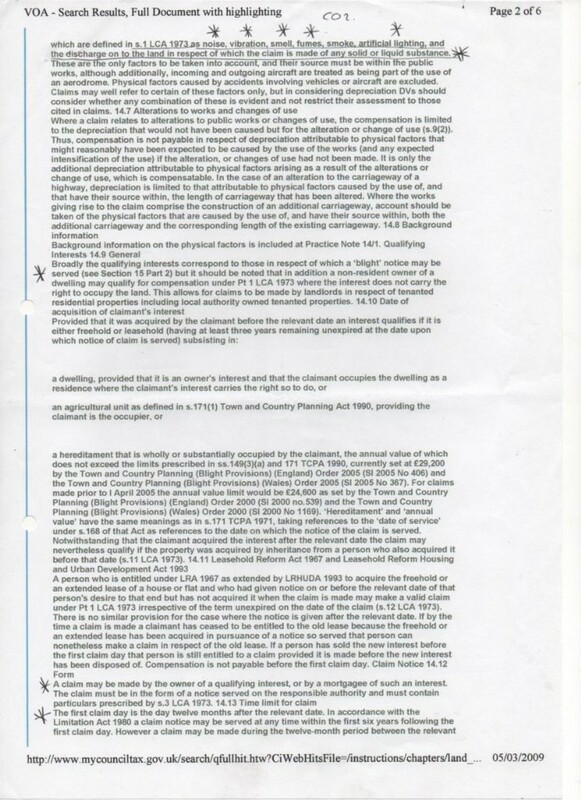 This is a qualified exemption and can only be applied if it is in the public interest to withhold the information. With this in mind we havecarried out a public interest test which is as follows...."
They then decided to keep it all secret! 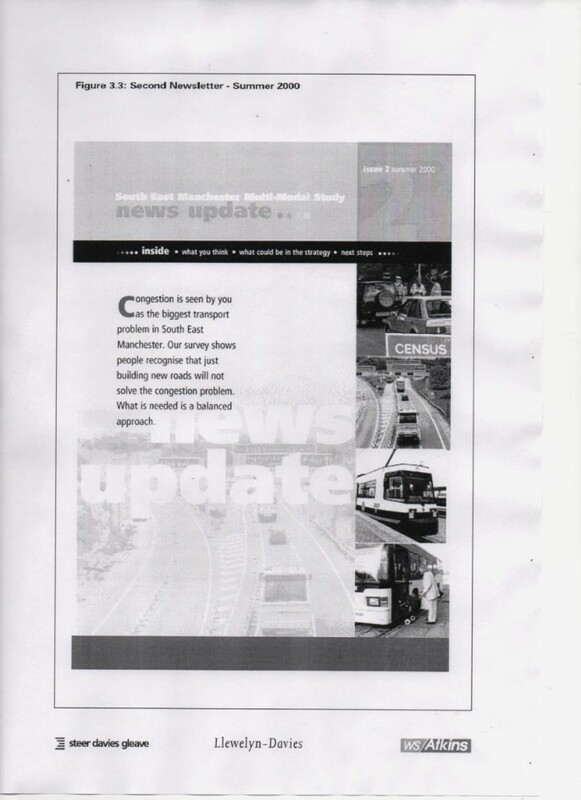 Cost of SEMMS newsletter - £46,413.41 - 282,500 copies went out . You think the bypass is a good idea - do you want it very much, a lot or you can't live without it? Please see the news story below. Is this what Danny Alexander, Hunter and Boylan discussed in their secret meeting in November 2011? The houses couldn't be built without the road. Alexander approved the road with no funding in place, no business plan, no traffic modelling and a decade-old consultation excercise with produced a very low response despite massive TV, Radio and poster advertising campaign. The Council misleading the public on the prospect of creating 11,000 jobs. My account with What Do They Know was suspended because in a desperate attempt to stop an innocent man repeatedly being sent to prison I put his details up (with his full written permission) on the What Do They Know website. Please see the Town Hall Prostester page of this website, which is still under construction. Almost all roads go massively overbudget. The council taxpayers of Manchester, East Cheshire and Stockport will have to dig deep to find millions of extra pounds and possibly hundreds of millions. Councils are being made liable for flooding in their areas. This road will be going through flood plains. More money for the hard-pressed council taxpayer to find - and all to win a few LibDem votes. At least £10 million already wasted and still they waste millions more! We have a lot of great crested newts here in Cheshire. 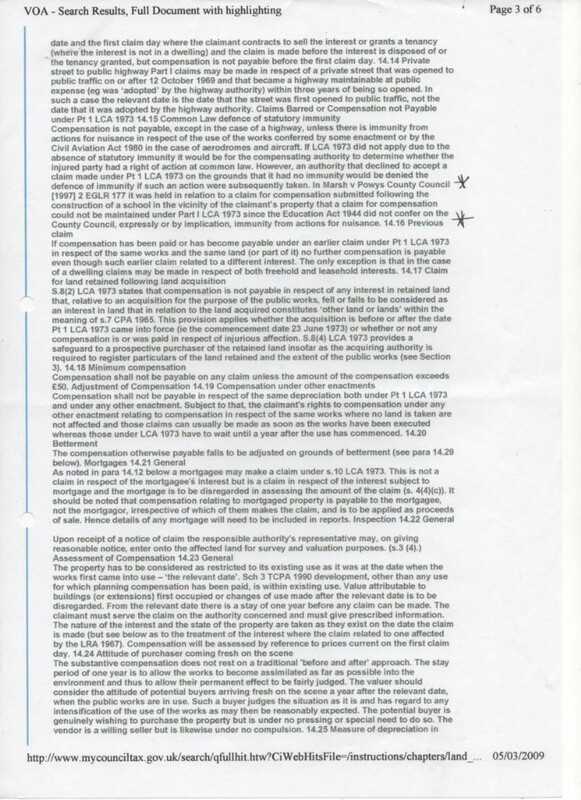 Below is outlined the procedure which must be carried out to preserve them, but they usually die anyway. I was told this by a famous newt expert. Below is some idea of the costs involved. Mouchel, who appear to be developing the A555 have serious financial problems - please see opposite. Not very reassuring then! 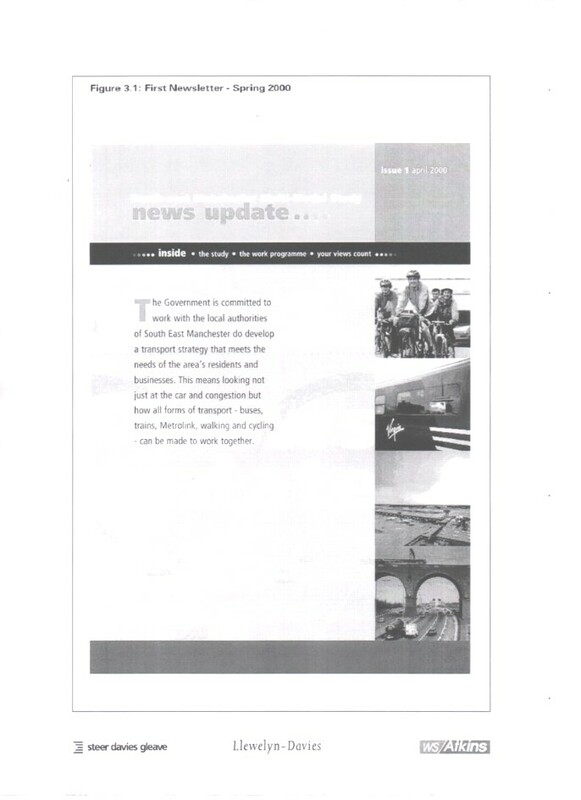 No idea of funding, even after the LibDem Treasury minister has given the go ahead to LibDem MP about a road which will bring LibDem votes at a secret meeting in late November/early December 2011. 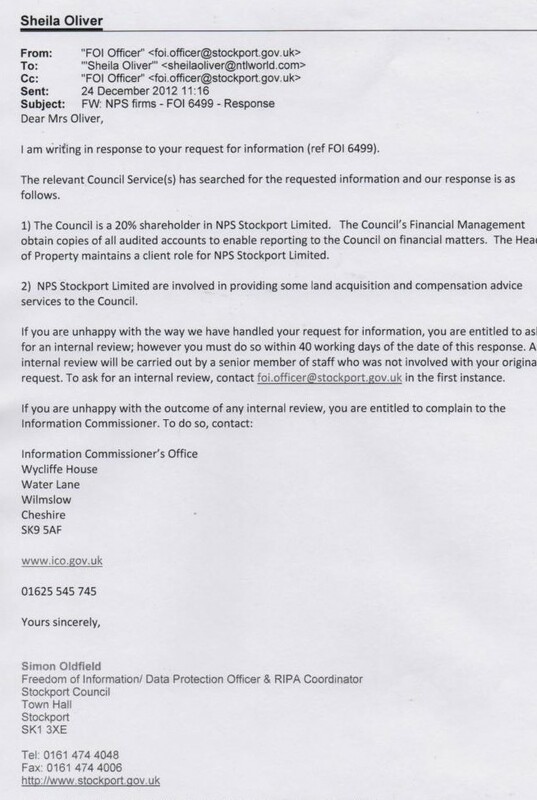 "Stockport Council has no written documentation available regarding your request for information. Greater Manchester officers are still in discussion with Government officers concerning potential funding options to support the delivery of the Greater Manchester Transport Fund schemesincluding SEMMMS A6 to Manchester Airport Relief Road. I understand thatthe future use of Tax Incremental Funding could be one of the optionsavailable." This response was given on 13th February 2012. Opposite is the link to the SEMMMS final report. The road was to be for local traffic only. Not at all what we will be getting. The road was a last resort once all other public transport measures had been put in place, such as the tram to Stockport. All we have is a few scratty cycle lanes that don't even join up. 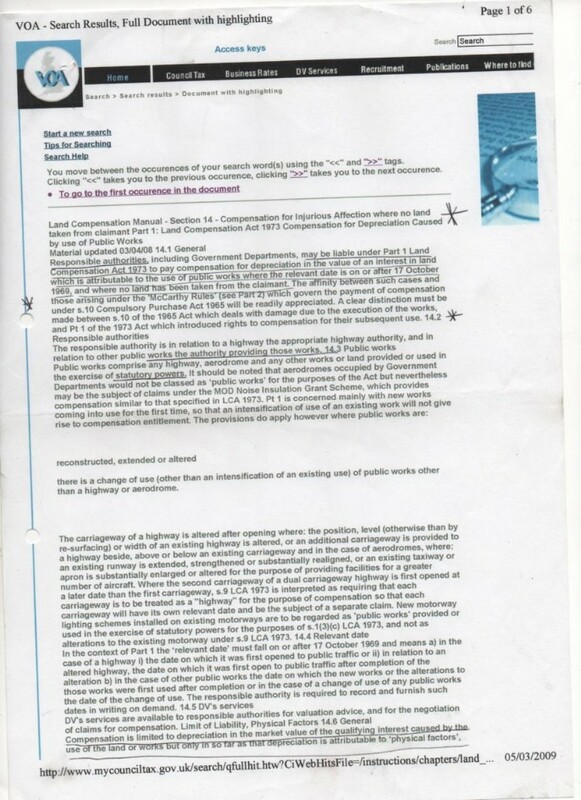 Certainly any pretence that the road being delivered is in compliance with this report displays the kind of duplicity and double dealing at which Stockport Council excels. The original SEMMMS aims. What are we actually getting except the road? Certainly no tram to Stockport. In what way are we getting a balanced approach? We are just getting the road and a few cycle lanes which don't even join up. These are the sensible suggestions of ordinary people. This is not what we are getting. We are getting a road through lovely countryside which won't address the problems and will put lots of your money in the pockets of consultants and big business construction friends of MPs. "...building new roads received a high response, but other items were more favoured." The public transport situation is getting worse, not better. 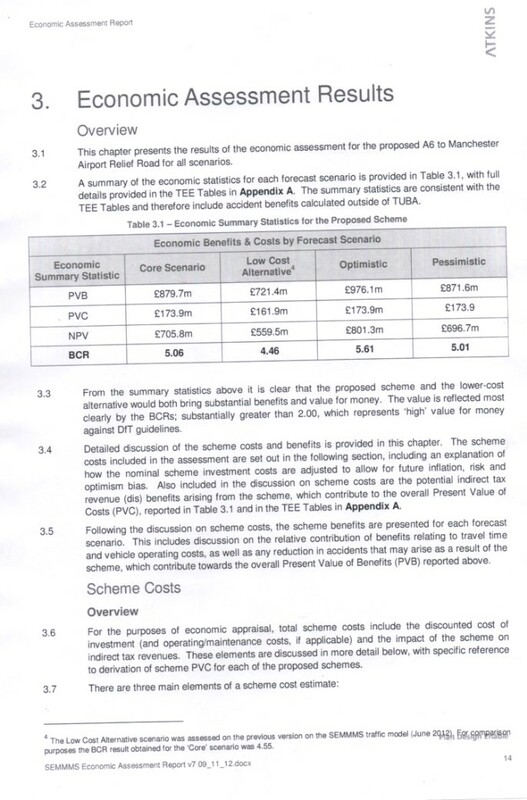 Flimsy business case for the M56 to A6 bypass. Opposite you will find the report to the Council Executive Committee regarding the business case for the M56 to A6 bypass.